By now we had been in Fig Foz for a week and were desperate to make way but with the comforts of Pedro’s home and the erratic weather we had not been able to push. It is important to note that we were not complaining but it was obvious that we were getting very accustomed to living in an apartment again and the longer we left before returning to sea the harder the experience would be. I have to say that Figueira has the best marina we have experienced since leaving England. The facilities are clean and the showers powerful. The marina staff are friendly and you have WIFI included on the pontoons. The cost per night is 18 euros bnut the longer you stay the cheaper it gets and for our last two nights we were being charged only 13 euros and that includes the 23% VAT that they stick on everything in Portugal. After saying our goodbyes to Pedro the night before we prepared the boat and planned to leave the next morning at 10:00 to complete the 37.1 miles to Nazare. In the end we left at 10:30 and again no wind. We have found the forecasts to be quite inaccurate for these waters, but I will go into more detail about that on the next log. We had to motor all of the journey but managed to hoist our Genoa later to help but there was no doubt that it was going to be a good day for the diesel. There was still quite a swell from the previous days storms but the scenery was nice and the time soon passed. 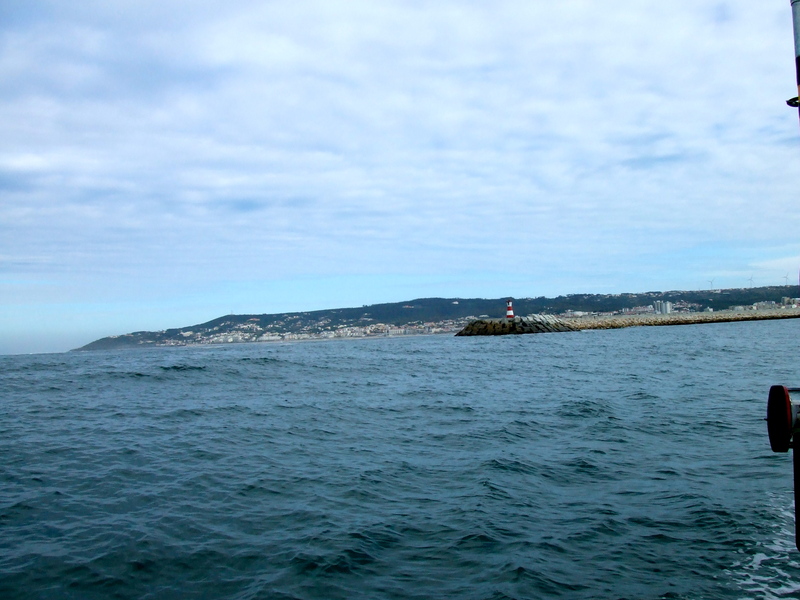 As we approached Nazare the swell and wind picked up. There are some funny waters here as there is a underwater canyon just as you turn into the bay so your depth goes from 20 meters to 150 and then back to 20. The entrance was again easy to spot and the marina easy to get to. The problems then started as I approached my berth. The wind picked up to 15 knots, making my entrance a challenge. 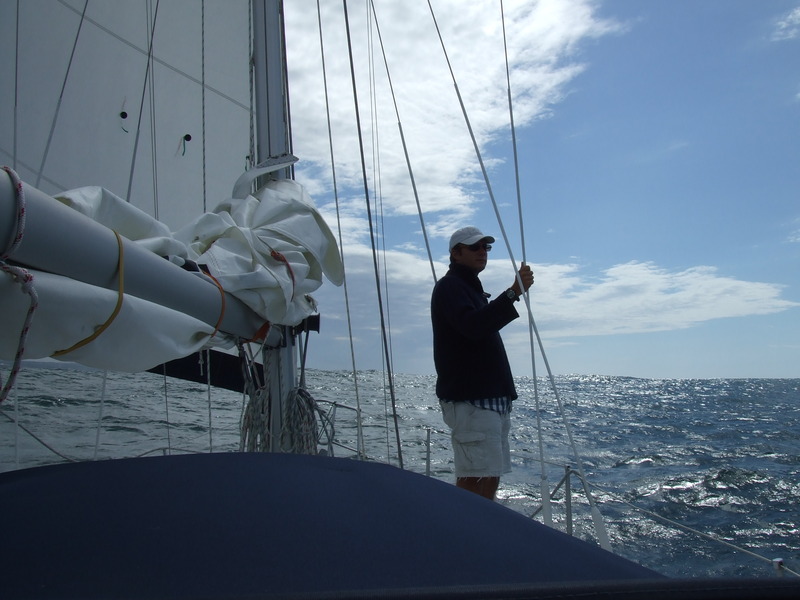 The gentleman running the show requested me to moor on my port side but with the wind from the north this was not an option buyt we still attempted it and this was my first mistake. By now Troskala was out of control and a gust managed to sweep her bow into the next boat but no damage caused. The spectators then came out to have a laugh while sipping their G&T’s. In the end I went back out and agreed to come in on my Starboard side and take a run at it so that I could keep steerage; this seemed to work, but it was stressful. Do not always listen to what other people say and want you to do. I knew full well that due to our high bow we would continue to be pushed off the berth into the other boat. I should have trusted my own judgment from the start and requested a starboard berth before attempting anything else. 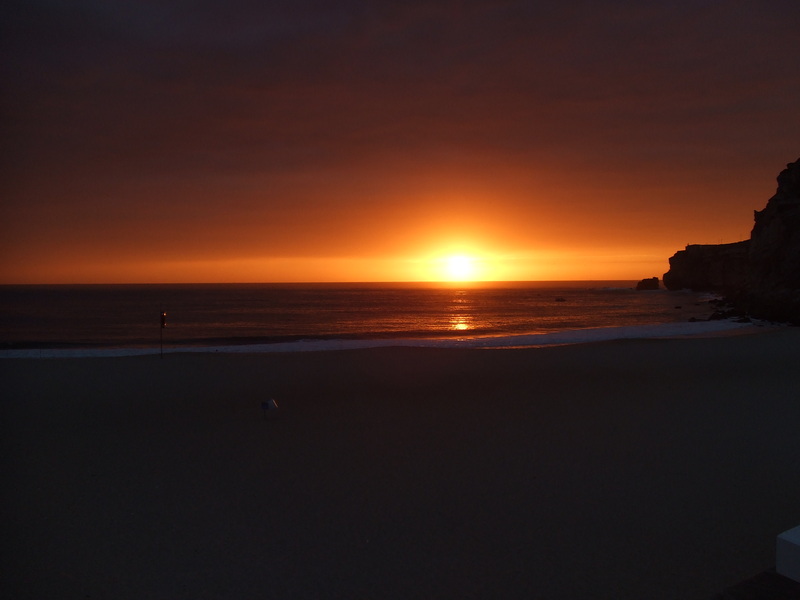 The day started with a mistake and that was to stay in Nazare. We were going to leave to Peniche but Carlotta was having a moment after seeing one weather forecast that was again completely wrong. 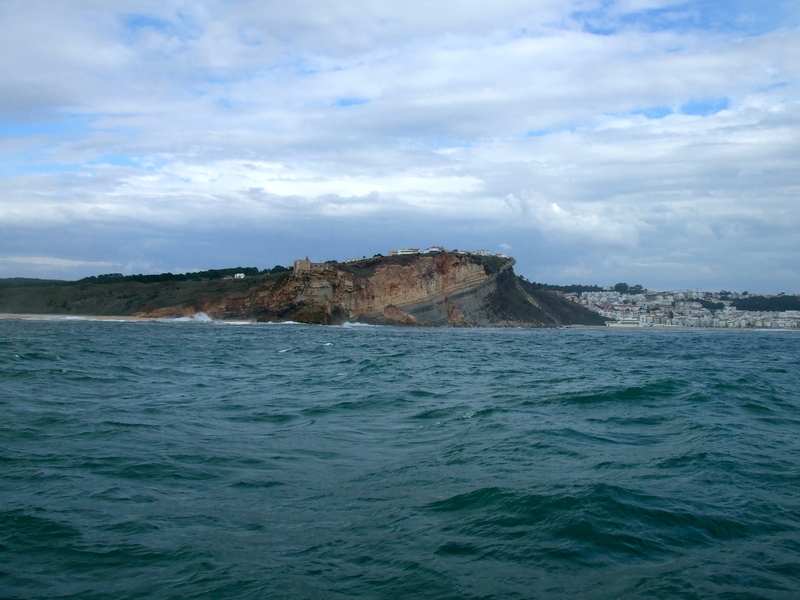 Instead of arguing we stayed in Nazare and tried to make the best of our day as the wind blew gently in the harbor all day. 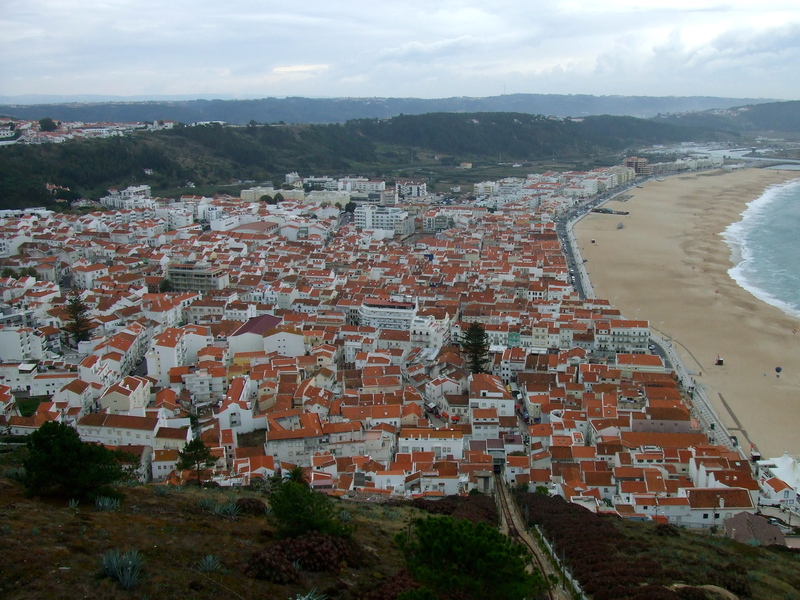 It has to be said that Nazare is a fantastic town. 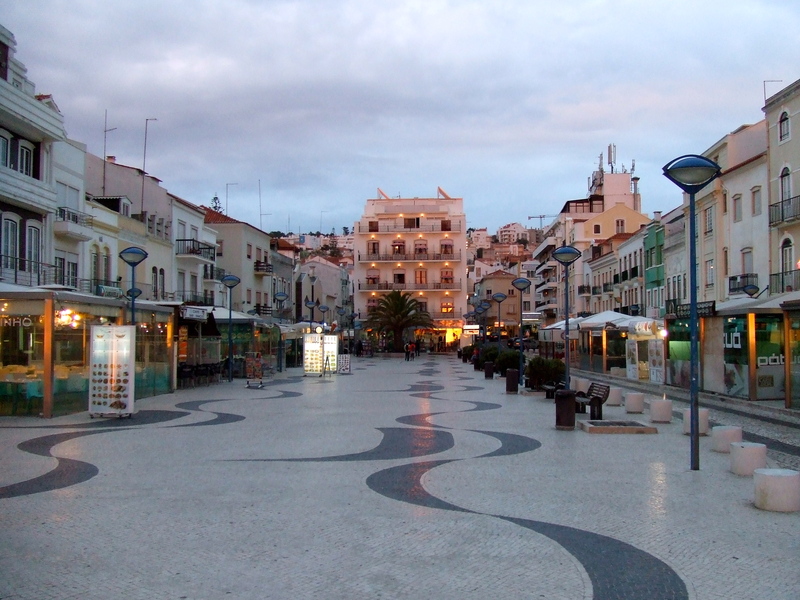 The town is split into two sections, the first being the lower part and the second the higher down. 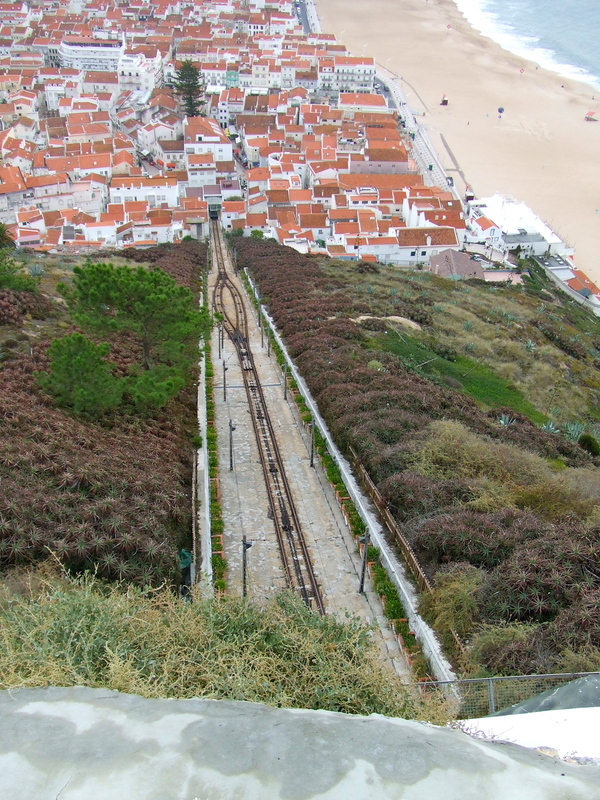 There is a great vehicular railway that takes you up to the top and as it is used for commuters it only costs 1 euro 15 cense for one way, which is a bargain. We walked down to an old fort and sat drinking iced coffees overlooking the town. There is a lovely church and museum not to mention plenty of old ladies that will dance for you if you buy some nuts and fruits; I did not succumb. 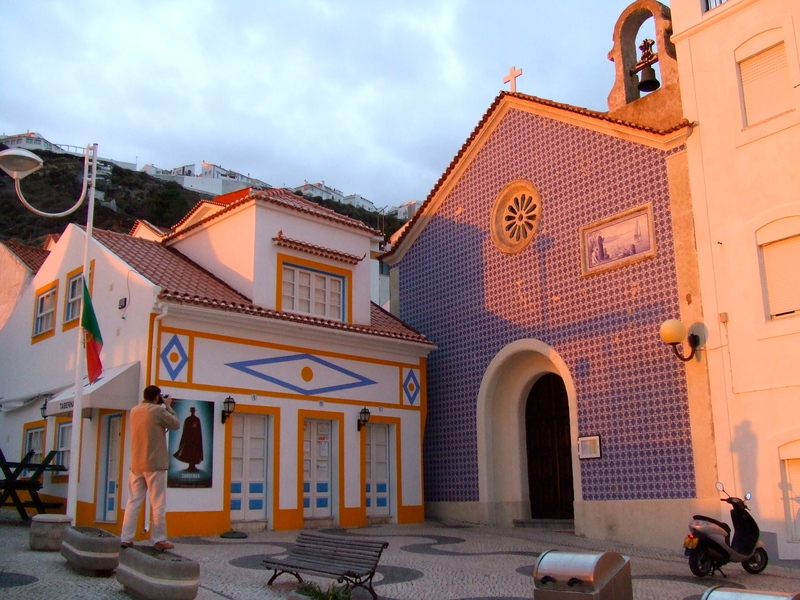 Nazare is well worth a visit. The marina again had WIFI, great showers but it can be a challenge entering in a northerly wind. They charged us 18 euros a night including VAT. There is an English couple who live on a boat there and are m ore than happy to help with any questions you have. Well, it was a nice place but we lost a great sailing day so should have moved on when I thought it would have been good. As you will see from the last blog there is always at better place around the corner and the weather was more challenging due to staying the extra day.